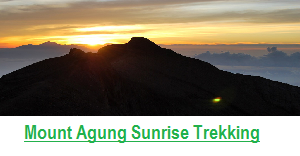 Mount Agung bali sunrise Trek , volcano hiking ,trekking local guide, trekking price,sunrise trekking review. 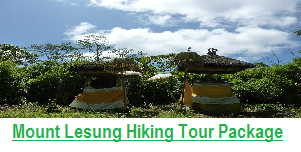 Since – we have a lot inquiry from our Guest to Arrange Mt Agung Sunrise Trek – so all the team from Bali Jungle Trekking ( All Guide, Driver, and Activities coordinator ) try to climb this Mountain first and meet one of the person from the Village to be our Local Guide . Yes – that amazing even we feel so tired climbing this mountain from the night before – it’s taking 5 hours for up and 5 Hours down. but it worth since we can see amazing sunrise from the Top of Mount Agung – we feel like we are standing on the top of the world And Again this trek is really recommended for the real trekker and adventure lover. Then we decide to meet with the Head of the Village to discuss that we would like to recommend this program to some of our client, the leader of the village very welcoming us since it’s help his local people to be Local Guide – And we finally we train 15 local people from the village to be Our Local Guide especially for Mount Agung, Just to Make sure we train them about the safety, and how to make sure the service that we offered is best one. But honestly all of our Local Guide already trained in safety and has done this trek numerous times. Then We are here now to offering you the great Volcano Trekking to the highest mountain in Bali with Local guide to see amazing sunrise from the submit of the mountain, also the price that we offered is the best one – you may check first to another trekking company to make sure. 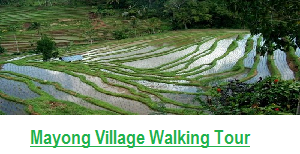 Also we already have great review on the TripAdvisor in arranging Trekking tour in Bali. Mount Agung Bali is The most challenging Trekking Tour in Bali – therefore this Package is designed for the real trekker and adventure Lover – Starting the night before, we take you to the the highest point in Bali – the summit of the holy Mount Agung. From the top of this mountain, you will see a sunrise like none you’ve ever seen. Mount Agung is Bali’s highest and holiest mountain in Bali as it is believed as the home of the God. Mount Agung located in Karangasem Regency, Bali. it dominates the surrounding area, influencing the climate. The clouds come from the west and Agung takes their water so that the west is lush and green while the east dry and barren. last erupted in 1964 and still active with a large and very deep crater which occasionally belches smoke and ash. Mount Agung Bali is 3,142 meters above sea level, can be summited by fit hikers about 5 to 7 hours from Besakih Temple starting point and 3 to 4 hours from Pasar Agung Temple starting point. 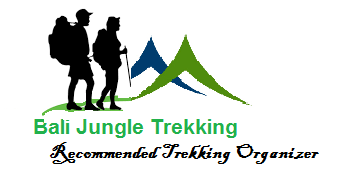 If you one of the real of adventure Lover this trek will be best choice for you. Our local Guide will help you to discover the atmosphere of the spirituality ground and see more things up closer than just about anything else. This program will make your holiday be completely exciting in Bali Island – And Our local guide will make sure you will have safe Trip – our guide will show you the best Route to climbing Mount Agung – He also we will let you know what you can do or not during the trek. The amazing sunrise from the peak of Mount Agung as you’ve never seen from other places in the world. You also can see Mount Rinjani outside of the Bali Island that is located at Lombok island. There are two common climbing routes up the mountain, all are challenging and you need to be physically fit and have some serious trekking experience. 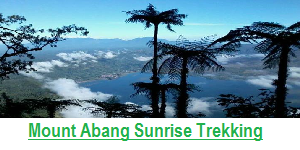 also make sure you have prepare this trek before – since this trek is not same like climbing mount batur Bali. What you should know before Climbing Mount Agung Bali? NOTE : To climbing the Mount Agung Volcano is Women are not allowed to climb up the Volcano during their menstruation period and Bring only what you need, the rest leave them in your hotel. Activity Level: High to Extreme. Hiking Duration: 12 hours (up & down). Temperature: 6 – 12° Celsius (At the summit). Climbing Mt Agung Temple from Besakih Temple : The trek will be start from Besakih Temple ( Mother Temple of Bali ) – The ascent will take approximately 5 to 7 hours and ends at the very highest point of the mountain 3,142 meters above sea level. Climbing Mt Batur Temple from Pasar Agung Temple : This is the shorter trek – it’s just a 3 to 4 hours hike up to the peak of Mount Agung which time you ascend about 2,000 meters. Not too stiff as the Besakih route. The route ends about 100 meters below the summit of Mount Agung, however you will still see the excellent views in all directions, as well as down into the actual crater. 07:30 AM: Start our descent to finishing point of our trek. 11:00 AM: Arrival at finishing point and boarding car. 01:00 PM: Return arrival at your hotel. 11:00 PM: Arrival at Besakih Temple starting point. 11:15 PM: Begin the trek to the summit and sunrise point. 06:00 AM: Arrival at the summit, where we see the spectacular view and sunrise. 07:30 AM: Begin our descent to finishing point of our trek. 12:00 PM: Arrival at Finishing point boarding car. 02:00 PM: Return arrival at your hotel. The cost for this adventure ( VIA BESAKIH TEMPLE ) is : USD$89/Person ( Minimum 2 Persons ) , included : Pick up and return to your hotel by private air conditioned car, Experiences private local guides English speaking, Entrance Fee to Karangasem Area, Drinking water, Juice & Power Balinese Breakfast, Walking Stick & Headlamp and Lunch. The cost for this adventure ( VIA PASAR AGUNG TEMPLE ) is : USD$79/Person ( Minimum 2 Persons ) , included : Pick up and return to your hotel by private air conditioned car, Experiences private local guides English speaking, Entrance Fee to Karangasem Area, Drinking water, Juice & Power Balinese Breakfast, Walking Stick & Headlamp and Lunch. Your benefit: Our service is private, we not use sharing transportation and guide, it’s will exclusive for you only, for your best experience. 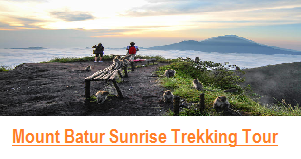 Mt Agung Sunrise Trek is A must things do in Bali if you love amazing sunrises from the highest Volcano in Bali? We climbed this volcano this in Sept and the weather were perfect, very clear, so time of year is something to look at, since now rain is not predictable and very hard to predict weather in Bali. 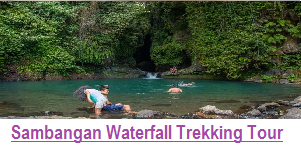 We book this trek 3 days before and got swift respond from the company, Bali Jungle Trekking the name of the agent.If you not done any sport for long time and only work at the office, Trekking is the best choice for you. Mostly Hiking Tour in Bali is up hill and only little flat sections but for us this is not to hard trekking – we don’t need to hurry to climb the mountain, we can just climb slowly and carefully. All The Local guides seem to work together to make sure everyone gets to the summit around the same time as to look out for each other. And One thing if compared to sea level in Bali obviously it is a lot colder and was actually 6 degrees Celsius at the top of the mountain, so Very ward jacket is needed during this trek, even with two shirts + Jacket and long pants I was feeling it and also you can consider bringing some dry changing clothes to change when you reach the top as with any trek you will sweat a bit. Now as stated Mt Agung was amazing, the views and sunrise were beautiful , we are so lucky that we have a very polite and friendly Local Guide, we never felt unsafe and also all the equipment were provided with everything we needed including Flash Light, Breakfast with hot tea. And when we reach the top – we feel like we stand at the Top of the world, we can see the world with so beautiful sunrise, just enjoyed it first and don’t thing how to go down lol.